Since 1978, Britton Diamonds has been creating beautiful diamond engagement rings and jewellery on Howe Street in Vancouver. 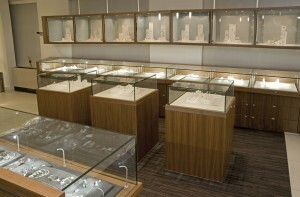 In 2008, we relocated to the Vancouver Block Building with a gorgeous showroom, complete with a private viewing room. With years of experiences working with clients and suppliers, Britton Diamonds has built a solid reputation as the premier designer for fine quality diamond jewellery. 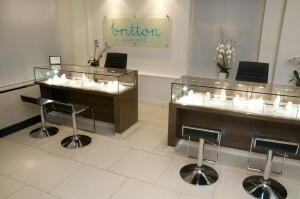 Britton Diamonds is most proud of their selection of Natural Colour Diamonds. These naturally formed and coloured diamonds are amongst the rarest gems on the planet with only one diamond in 10,000 naturally coloured. Recognizing the need for accountability in the diamond trade Britton Diamonds only has ethically sourced diamonds. Britton Diamonds is a proud member of the Canadian Jewellers Association. They say diamonds are a girl’s best friend, but if you think you know your best friend, you’ll want to stop in at the new Britton Diamonds location at 736 Granville Street, at Georgia. Located on the third floor, the jewellery showroom is a beautiful custom designed showcase space that is absolutely dazzling.